The Big Trip - Adventuring to the far north of Australia - Cape York! We are nudging ever closer to some form of retirement or transition to doing less work and having more fun. Many of you will be in the same position, families grown up, most of your debts paid off and thinking about adding a bit of adventure to your lives. 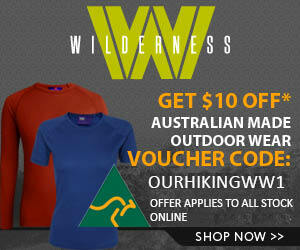 We can’t go bushwalking all the time and there are many places in Australia (and around the world) that beckon. Here in Australia that usually means a road trip, yes, a very long road trip! 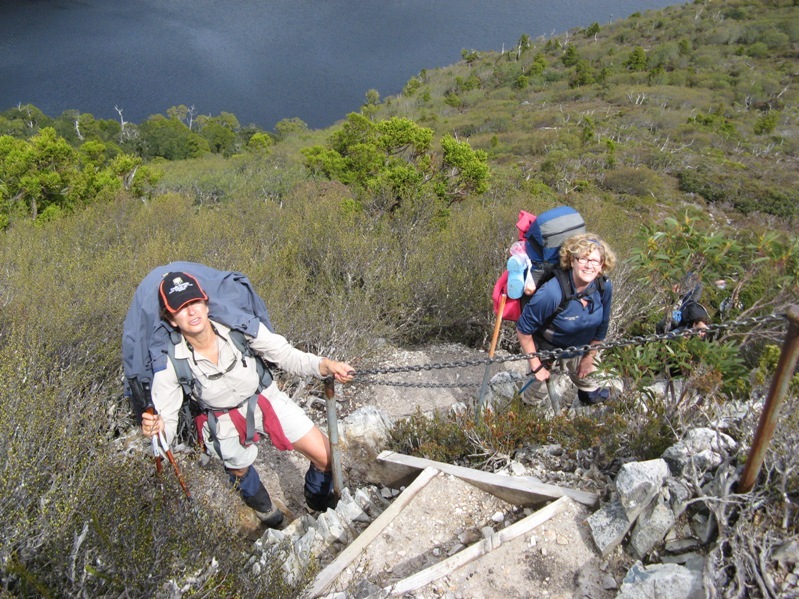 A great mate and terrific contributor to Our Hiking Blog is Georgie Bull. She has written many excellent pieces around the site on topics ranging from How to choose the right hiking boots to Getting fit for a multiday hiking trip. Georgie contacted us recently and offered to share her latest adventure in a series of articles about her trip to Cape York and central Australia. Not exactly hiking but still an adventure by any measure. Here is the first piece, enjoy! Well, my trusty hiking boots are out of summer storage – not to walk Tassie’s cool misty mountain tracks, but for tracks and walks in the other direction – Cape York and Uluru, via Birdsville. We are all kitted up with a new 4WD with snorkel – handy for the many over-the-bonnet creek crossings en route to The Tip – and a new set of chunky tyres that promise not to get us bogged in mud or sand. Our plan is to leave the Love Shack in Palmwoods and 3 days later arrive for a dip and wood fired oven pizza at Innot Hot Springs, on the western side of the Divide in from Innisfail, after refueling at Emeral and Charters Towers. From Innot Hot Springs we will head to the Crater Lakes NP for a swim in the pristine waters of Lake Barrine and tea and scones at the teahouse. Then it is up through Mareeba and Atherton to the Cape York peninsular and Thursday Island. On the way back south we will venture into the Undara Lava Tubes, then head to Winton’s dinosaur stampede, before the hitting the Birdsville and Oodnadatta Tracks to Uluru and Kata Tjuta. From those big rocks we will make for the Alice, Devil’s Marbles, and coppery Mt Isa, and be back at the Love Shack early October. I’ll keep you posted over our 8 weeks in the Outback – the roads, the scenery, the awe and wonder – from the perspective of we two gung-ho 64 year olds. This is a trip you shouldn’t do on your own, but you should do it, and I hope my posts will encourage you to get on the road. As usual, your comments and helpful suggestions will be most welcome. Wilderness Expeditions provides short and extended walks, hikes, tramps into mostly untrampled areas of Tropical North Queensland but with a difference! All the gear is carried by our faithfull, hardworking donkey pack team. 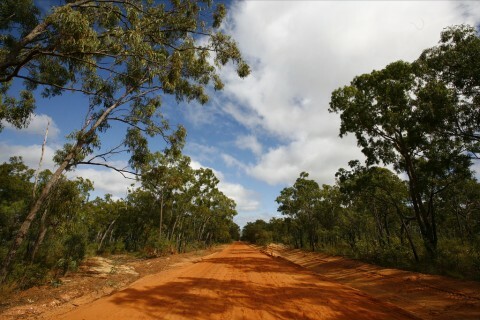 Explore part of the route taken by Edmund Kennedy or Ludwig Leichhardt, (8 to 28 days depending on the number of sections selected) or explore pioneer mule roads around the living museum towns of Herberton and Irvinebank. Carry only a day pack, all food and camp furniture provided. Fully guided with researched history, botanical, geological and other interests catered for. Three course dinners, wine with dinner all with a willing companion to carry your gear. We could take the worry from organising a bushwalk in the tropics.